Jerome Katz, PhD, is shown acting in the Freudian Follies. 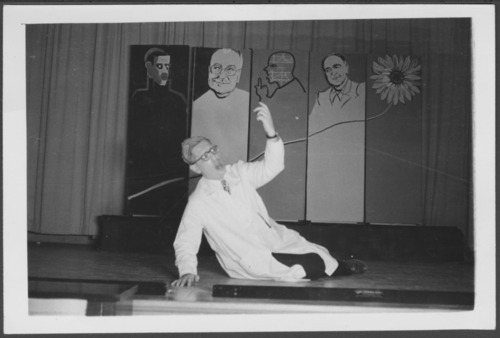 The background set is of Karl Menninger, M.D. After four years of training in psychiatry, the Menninger psychiatric residents wrote, directed, and acted in a show spoofing the program, the clinic, the faculty, psychiatric and psychoanalytic theory and the whole world.